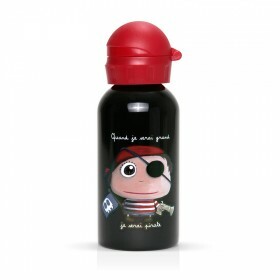 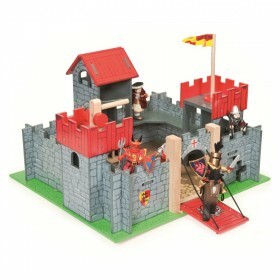 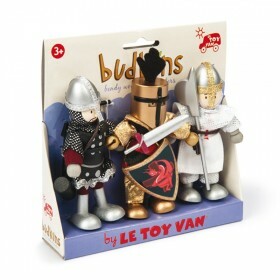 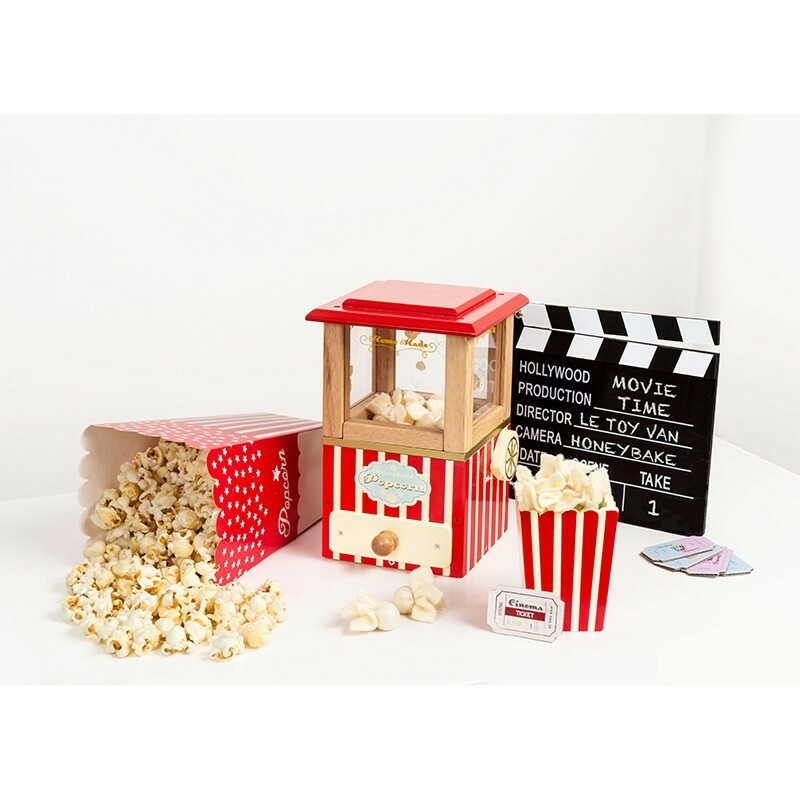 Bring the cinema, theatre and shows sensation of popcorn to your home. 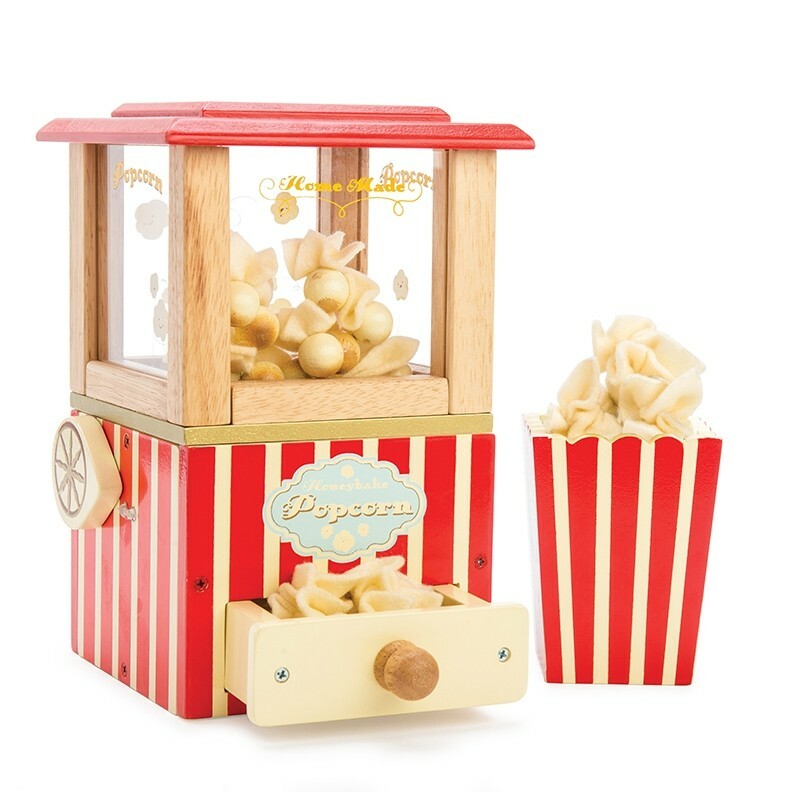 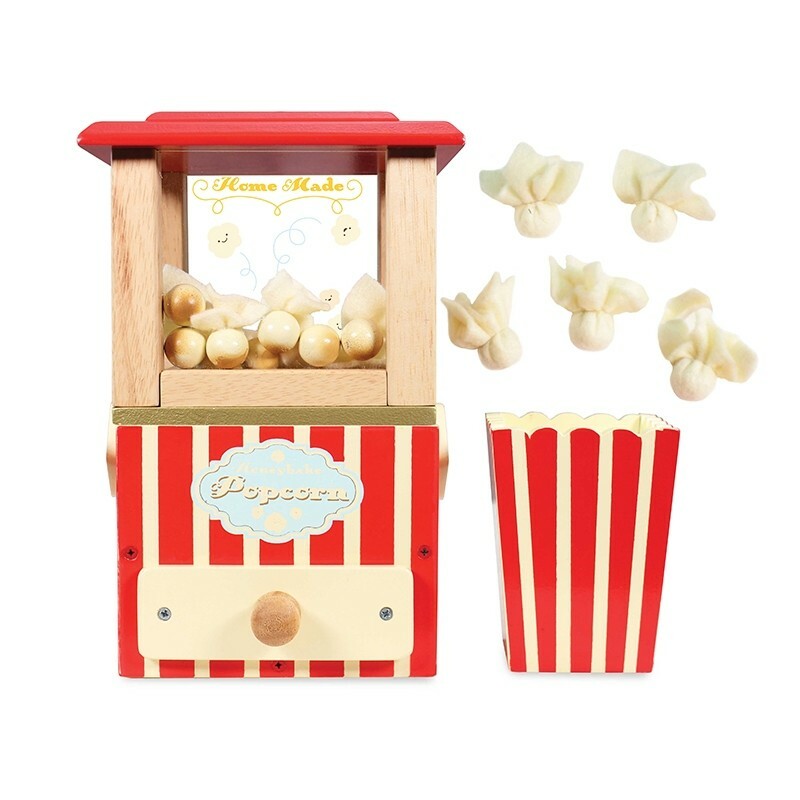 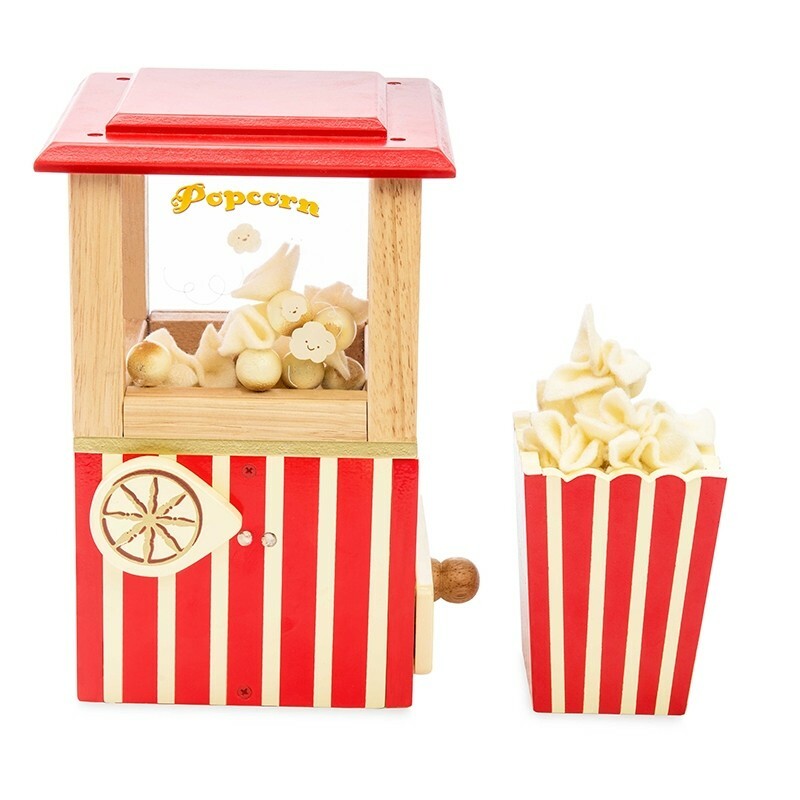 This unique and compact vintage wooden popcorn machine features a "pop handle” hold it down, release, watch them pop! 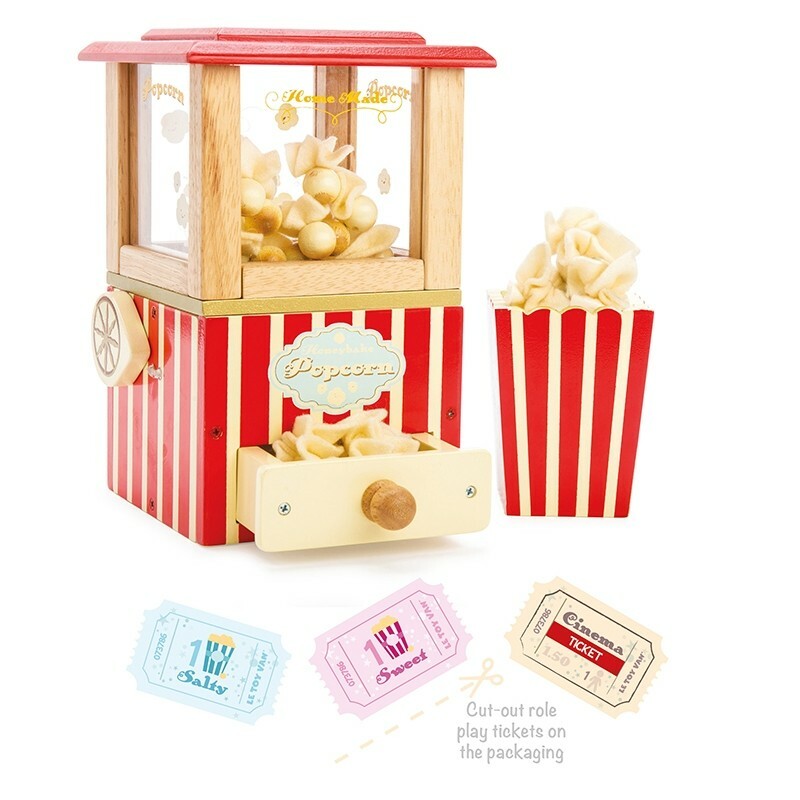 Complete with 5 felt play popcorns to collect from the drawer and a colourful popcorn pot to serve them. 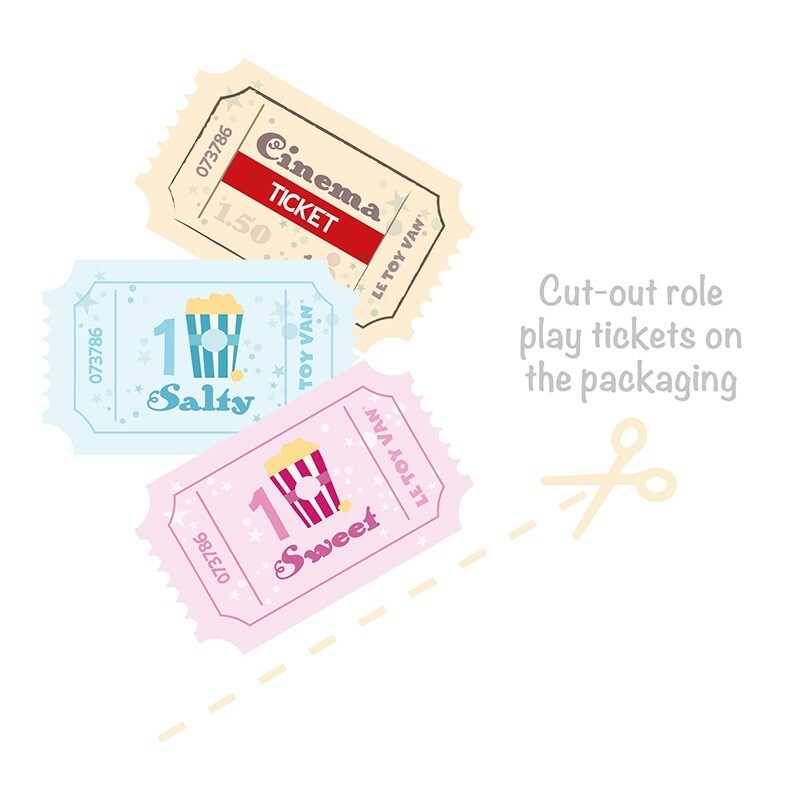 Packaging features show tickets and sweet/salty popcorn tickets to cut out for extended play value. 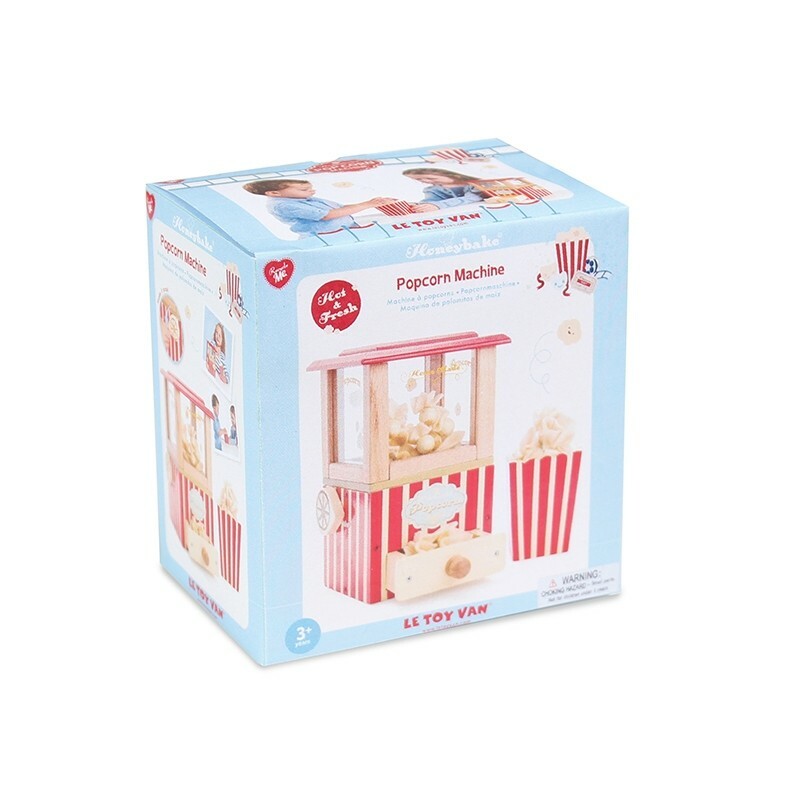 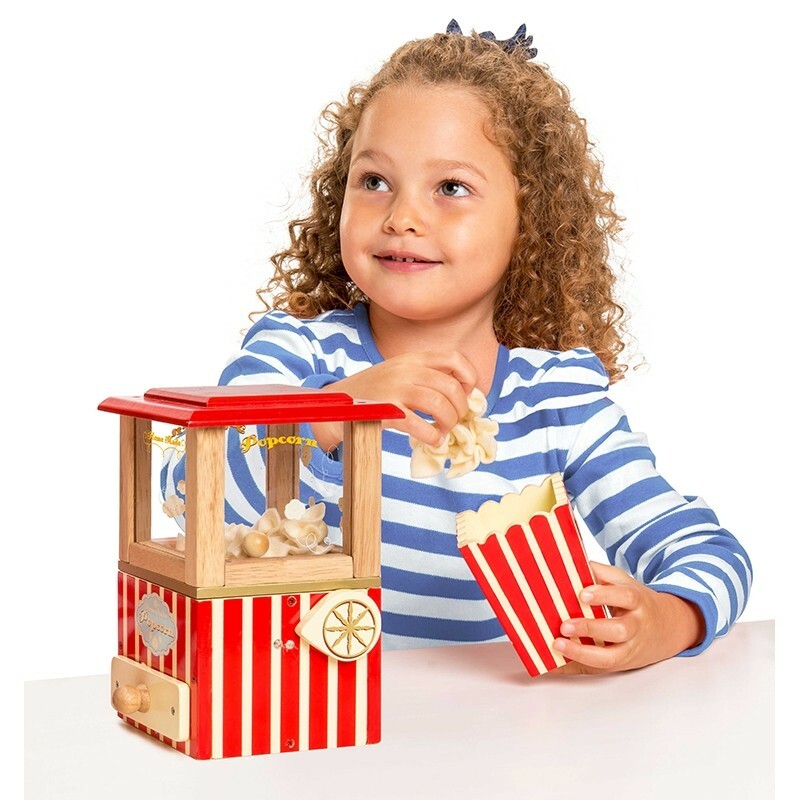 Naturally guilt free, this wooden popcorn machine set is perfect for little ones to work on their fine motor skills as well as practice their speech & social interaction skills.